Do you live in Vaughan, and have Careless Driving charges, Stunt Driving charges, Speeding Tickets, or any other traffic ticket/charge from anywhere in Ontario? Please contact our Vaughan traffic ticket defence team to learn whether you can fight your charges in Court and how. To find out your options on a Speeding Ticket, Careless Driving or other driving charge, call Ticket Defenders®* today. 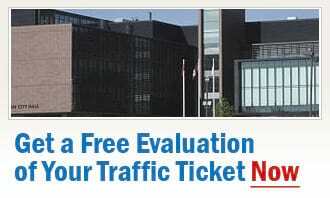 Call our knowledgeable and professional Vaughan Ticket Defence agents for a free, no-obligation traffic ticket consultaton. No matter what your traffic ticket, rest assured that our Ticket Defence team in Vaughan will work tirelessly to get your charges dismissed or reduced, save you demerit points, and protect your insurance premiums.